Lehigh Valley Home Innovations (LVHI) provides custom window and door installation for new construction and home renovations to residents in the Lehigh Valley. 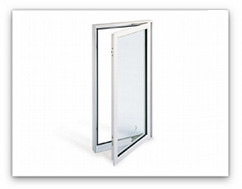 Improve energy efficiency with new windows and doors. Lehigh Valley Home Innovations is ready to be your partner in both new construction and home replacement projects. We are dedicated in providing our clients with maximum quality, value and complete customer satisfaction as we install your new eco-friendly windows and doors. Egress Window Installation.LVHI is your go-to source for expert installation & repairs of egress windows. When a house has a basement, it must meet certain requirements in PA, at minimum an exit, so that any door or window can open to the outside easily without keys or tools. LVHI creates design solutions that compliment your style and taste. Dutch, Louver, Garden Gates, French Glass, Plank and doors designed as a pair. Single & Double Hung, Casement, Bay & Bow, Awning and Slider.